Not questioning the shown woodworking or finishing skills at all. But before it was at least something, now it is what we call a „Bastelbude“. Good lord. Incredibly skilled to say the least. I'm in the "I like the original" camp but one cannot deny that the outcome is as exceptional. You wouldnt even know they were the same soul. Please share more restorations here for those of us not Instagraming. I like what you did to it over the original, but dayum that is a LOT of work! You have amazing skills. I'm in awe of your skills. Absolutely incredible. Would love to hear how it sounds, by the way! I absolutely love it as a 1960 burst, far more than a 3 pickup Custom. Incredible work. Why is this called a restoration? This is a conversion in my opinion. Kudos to your skills though, it is well executed, but I don´t understand why someone would do that. It isn´t a burst, it´s a conversion. You are truly a woodworking genius....absolutely stellar work! I like it as a LP Standard. You did a great job Yukki! Enjoy your fine work. Play it in good health for a long time my friend! 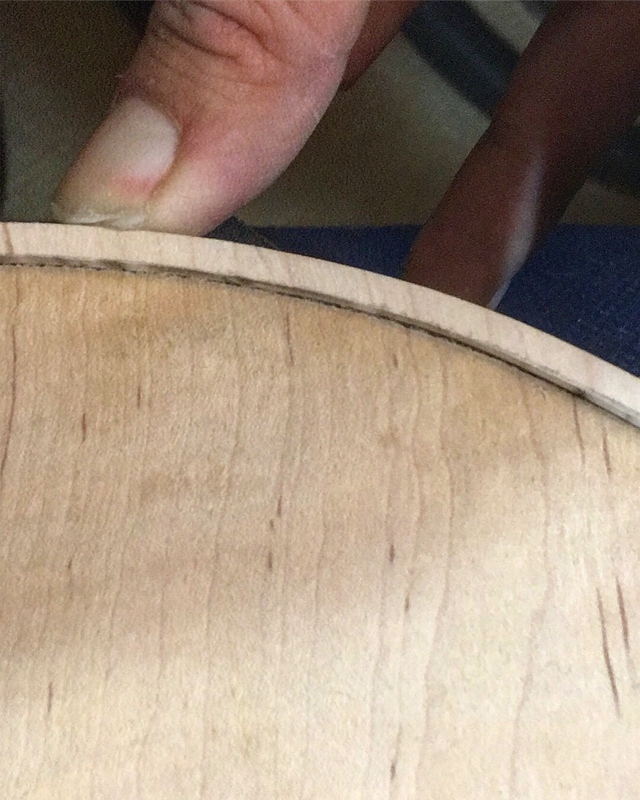 Can you post a straight on body pic of your finished guitar for us to admire? Nice job, looks great, and congrats. Unbelievable work! It has to be so rewarding to be able to do something like that? I couldn't even conceive of it, let alone do the work. Really great work as always! 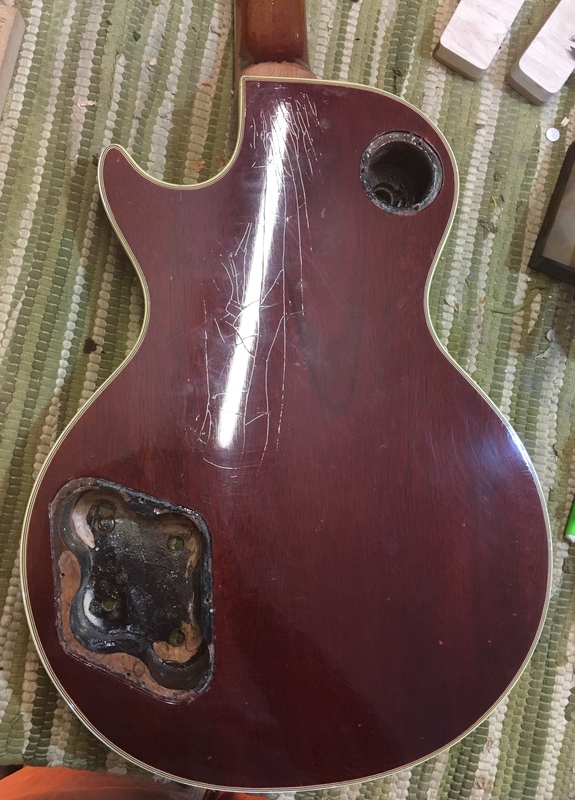 Hi all, MLP has always been sensitive to vintage Les Paul restoration threads, with equal cries of heresy/praise but I thought some would be interested in the full process. 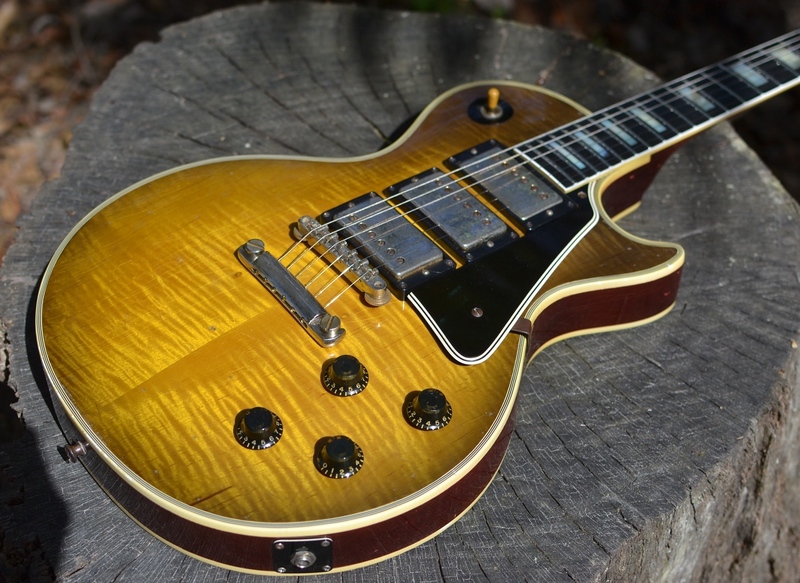 This guitar has been discussed in a previous LPF thread, and was a factory flame top ‘60 Les Paul that was factory finished as an LP Custom- so has full Burst construction with correct internal routing, but LPC cosmetics and ebony fretboard and ornate headstock etc. As I understood it, this lived anonymously as a run of the mill ‘60 LPC until an owner stripped the top revealing the centre seam flame maple cap (as I’m sure most reading this are aware all ‘50s LPC’s were full mahogany with no cap at all, but a single piece carved body), and after staining the top a kinda Gretsch orange played it as such until it eventually made it into a friend’s hands who sold it to me as a husk. 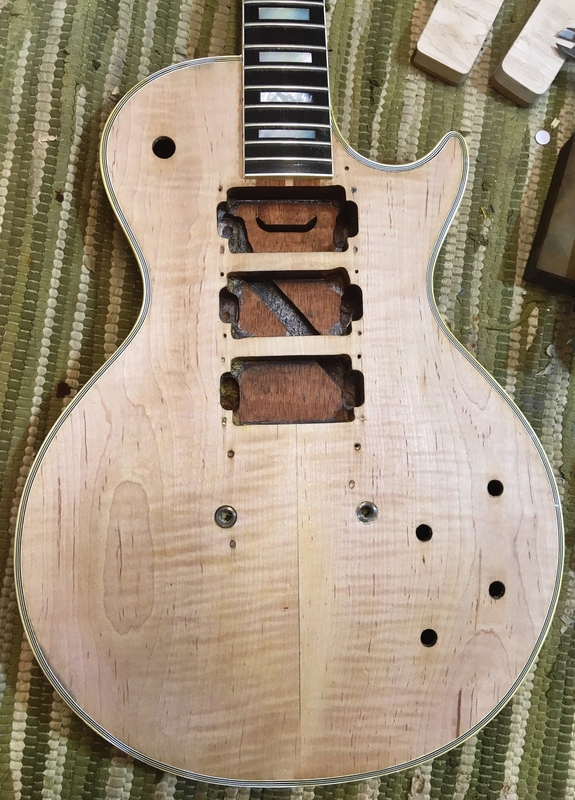 At his request HM did a beautiful job of bursting the top while keeping it as a three pickup Custom/Burst, but I had other plans, namely to bring it back to full ‘60 Standard spec by going back to bare wood and methodically correcting the Custom appointments. 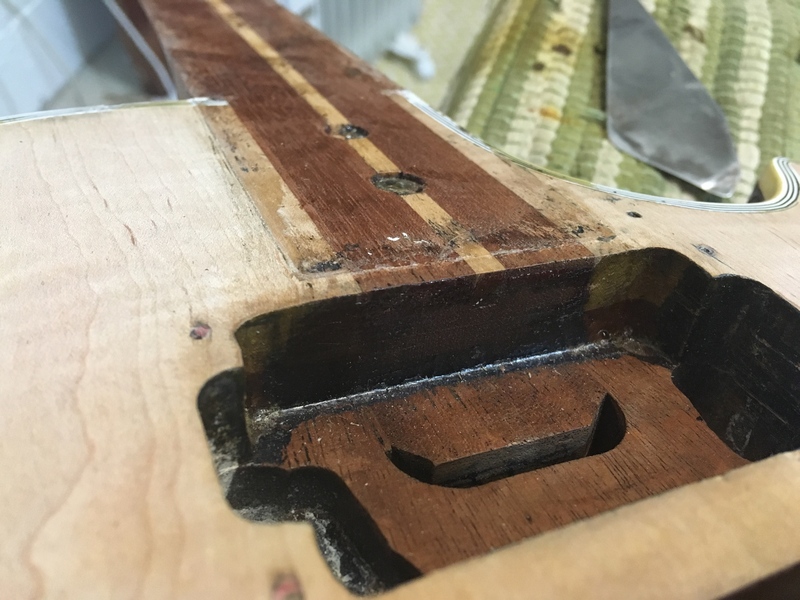 The most obvious challenge was of course cleanly filling the middle pickup route to allow for a traditional twin pickup set up and transparent sunburst finish, but tackling the extra wide binding channels on top and back to leave a clean result was actually much more of a head scratcher! 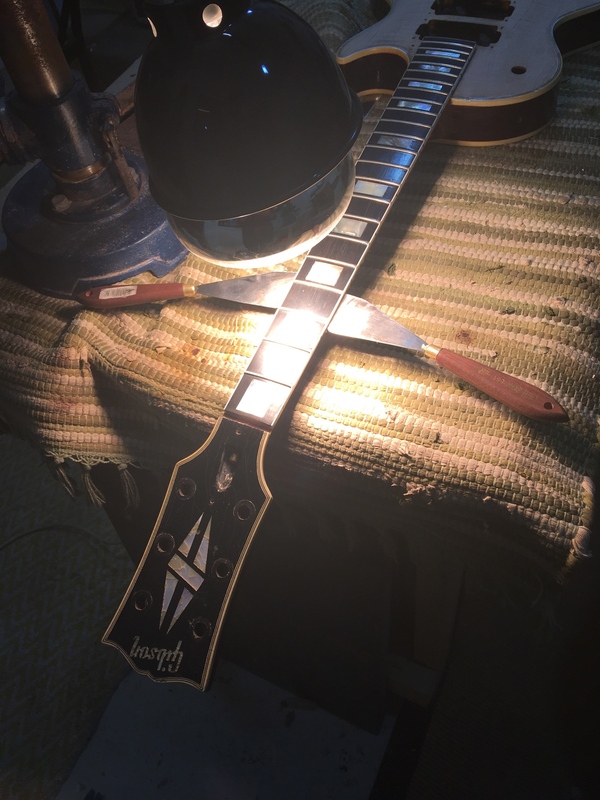 Less troublesome was swapping the ebony board for a ‘60 SG Braz board I’d salvaged and tweaking the headstock to Burst spec, as well as a full vintage correct refinish, but enough blabbing- on to the build log! The reason I didn’t just use flexible maple trim and steam bent it was because the grain would not have matched, and there would have been a very obvious straight grained ‘halo’ the full way around- this way, although hugely time consuming and technically challenging allowed an excellent grain/flame match, even though it would be all but lost in the sunburst anyway.. I love this wood working stuff. Dang Yuuki... I wanna see the melody maker you sacrificed! outstanding job as always my man. Those melody makers are awesome guitars. I know Yuuki loves them after chatting over MMs on Instagram. It was not sacrificed in vain or without a heavy heart lol. I respect his knowledge and craft with these old guitars. Wish I had the coin for more '50s guitars, but a '56 LP Jr. will do for now. 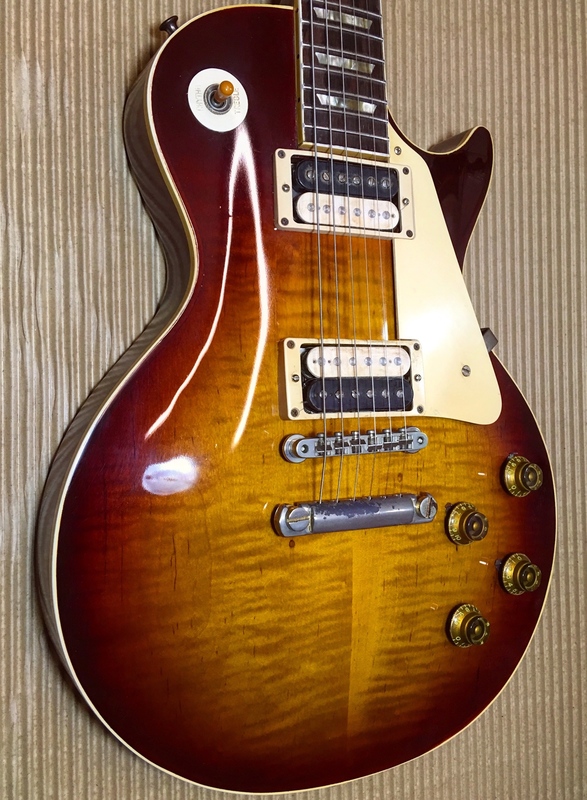 My "poor man's" burst is an early '69 LP. 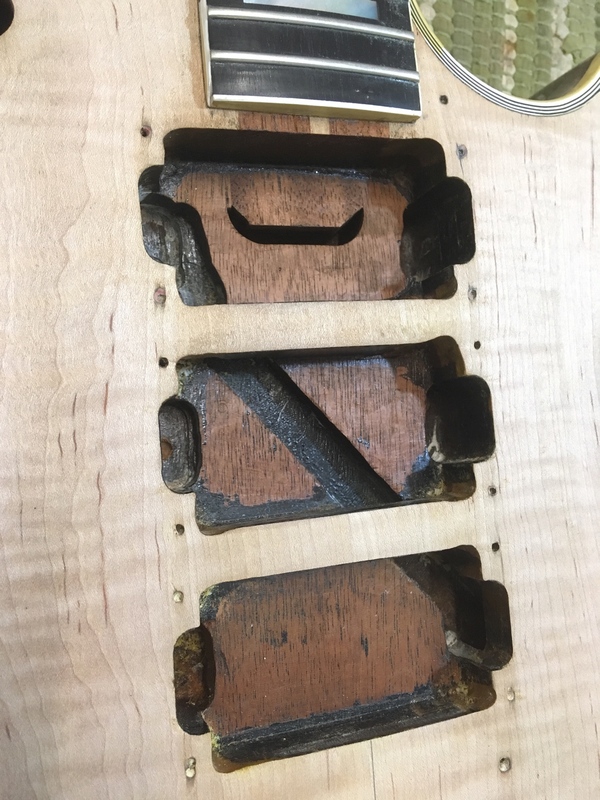 Keep up the killer guitar work, it's inspired me to restore/convert a trashed '69 SG Special. Fantastic artistry, so beyond my capabilities it's obscene. 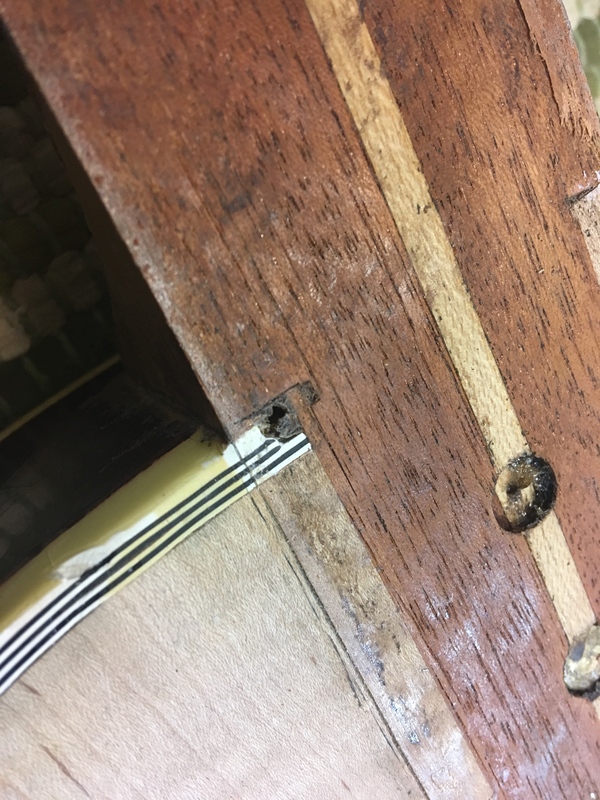 The pickup hole fix is incredible. It's fair to say you know own one of the best reissue bursts in the world but not a vintage 50s burst. That said: AMAZING! Are you sure "restoration" is the right word? It was never what you made it into, so how is that a restoration? "Destruction of one off rare original run '60 LP, and also a couple other vintage guitars" or just falsification sounds more fitting. Pretty soon there will be not a single original pre-1960 Gibson solidbody guitar left, because they'll all be conversions. That was an incredibly beautiful custom. Shame that it's gone forever now. The refin the previous owner had done, like you mentioned, was beautiful. IMHO it was also much more interesting and had a much better story. 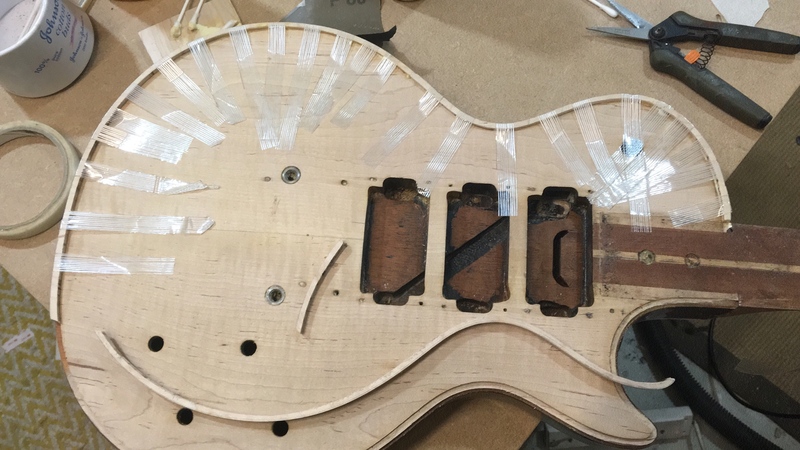 Yeah, like everyone said, great work, impressive skills and such, you surely would be able to make a great new guitar out of the best possible woods and parts. I hope you enjoy playing it, hopefully you did it only for that reason. It looked much better IMHO. Most impressive to me is the clever idea with the neck profile fix. Genius! I mean no hatred here. It just saddens me. 3 originals gone for the sake of one fake.